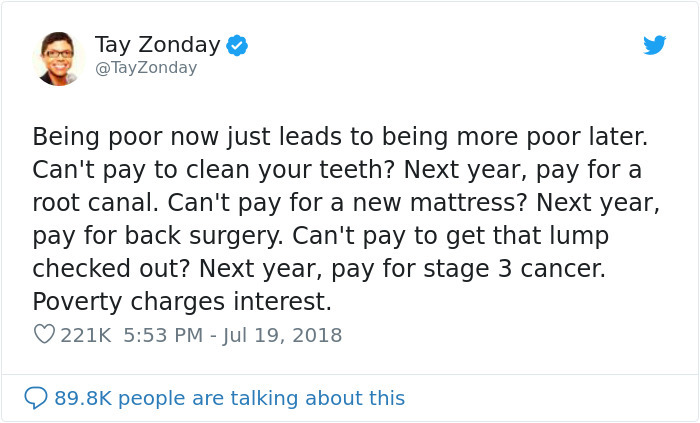 The ‘American Dream’ rides largely on the idea that you can pull yourself up by your bootstraps and find success, but the reality that many Americans find themselves proves that it’s not that easy. 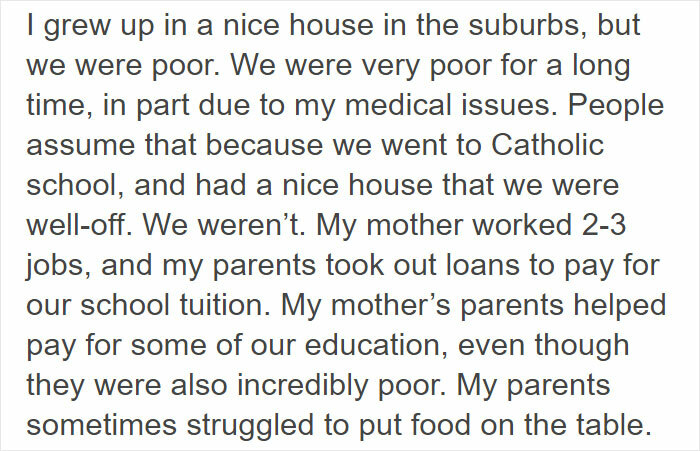 In a long heartfelt Tumblr post user rrojasandribbons described a conversation they had had with one of their more privileged friends on why it was so difficult to escape poverty. 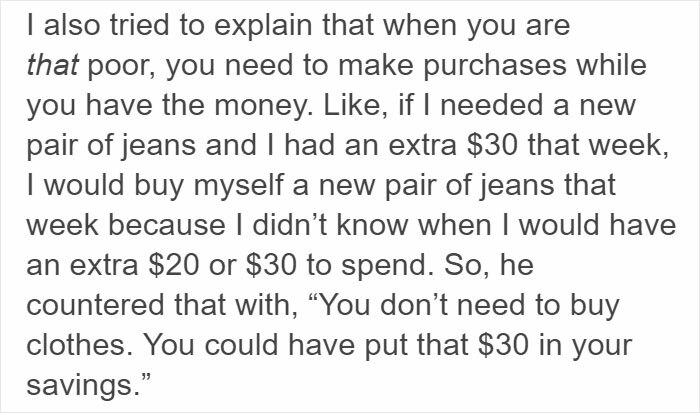 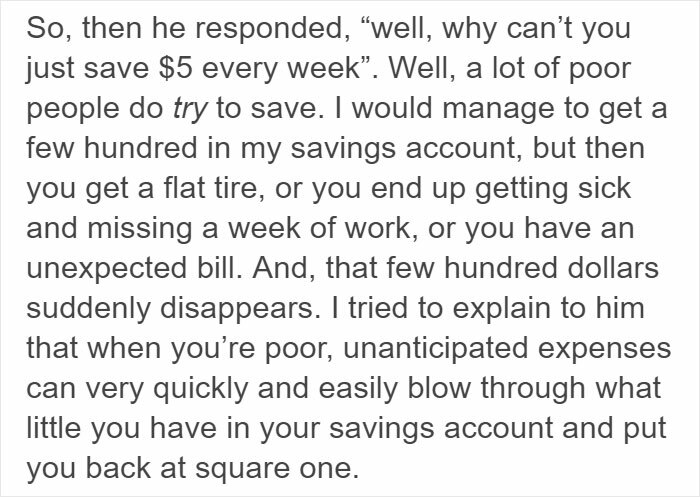 The friend could not believe that the poster had experienced such hardship before, as they didn’t fit the image of what poor people look like, or understood why they couldn’t have just “save money” to get out of it. 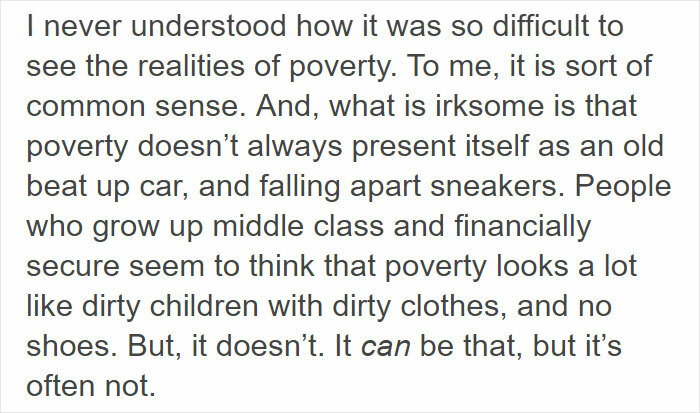 Scroll down below to read this thorough and thoughtful explanation of the reality of escaping the poverty cycle.